As August is almost over, there are more and more signs that remind us of the coming fall season: The days are shorter, the sun has a different color and we need to put on more layers. 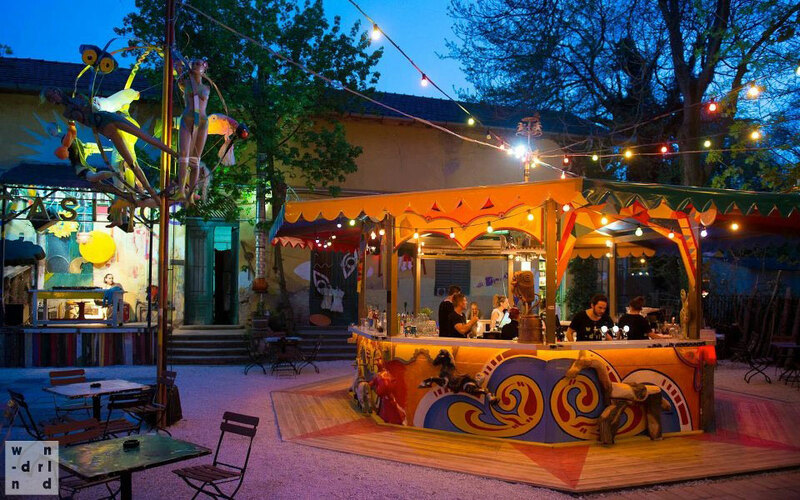 However, luckily, there will still be some nice and warm days in Budapest, so we’ve put together a list of some really cool open-air bars that are must-visit places before the summer season is over. 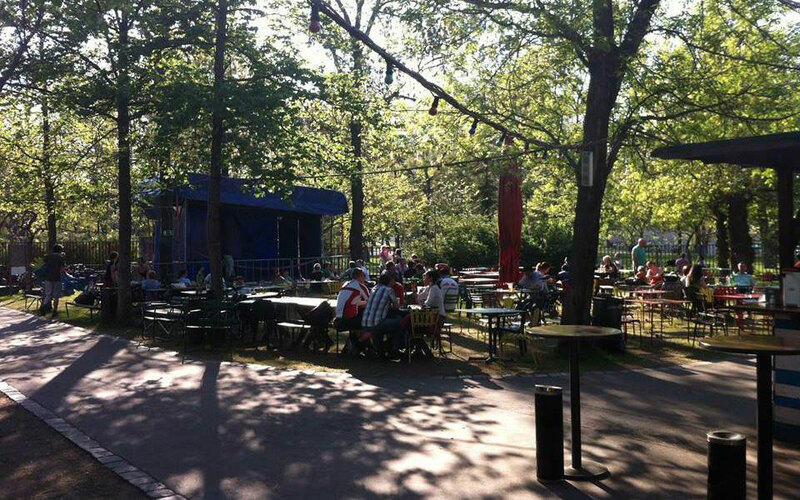 Nestled among the trees of the ever peaceful Margitsziget is the wonderfully unique wndrlnd. 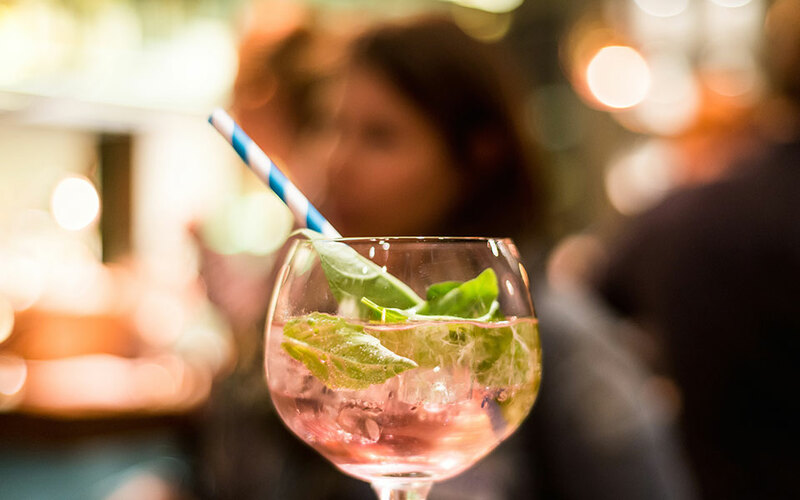 It’s a pop-up bar with an ever evolving visual style thanks to a new resident artist each week that takes charge of everything from the decoration, to the music and even to what food is on the menu. 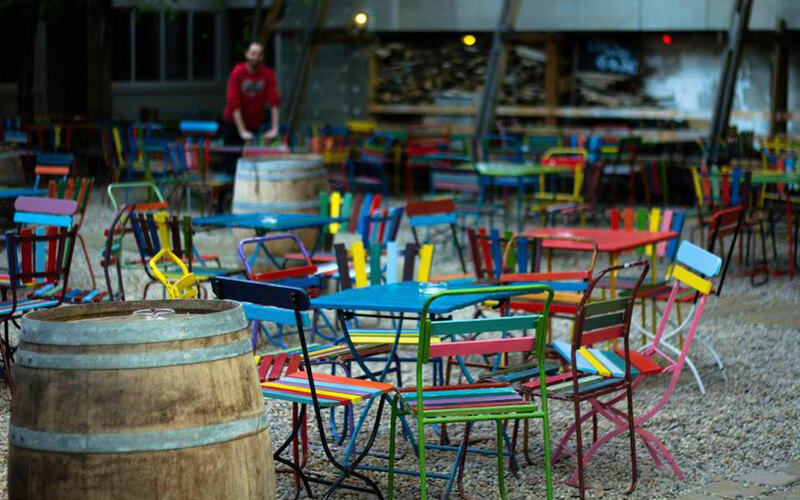 Building on the dystopian urban style that’s made Budapest’s ruin bars so popular, it’s a great place to spend an evening sitting and people watching and for party people there is a top notch bill of electronic artists playing most weekends. Nights run late and afterwards you’re likely to find chilling back in the park eagerly awaiting sunrise. 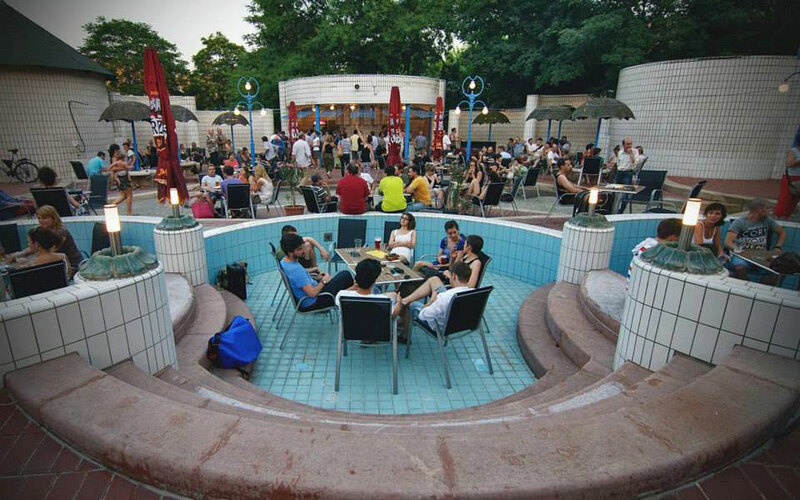 One of the lesser known garden bars in Budapest, Pagony is located right behind the famous Gellert baths and gives you the opportunity to take a seat at table inside one of the now drained children’s baths. 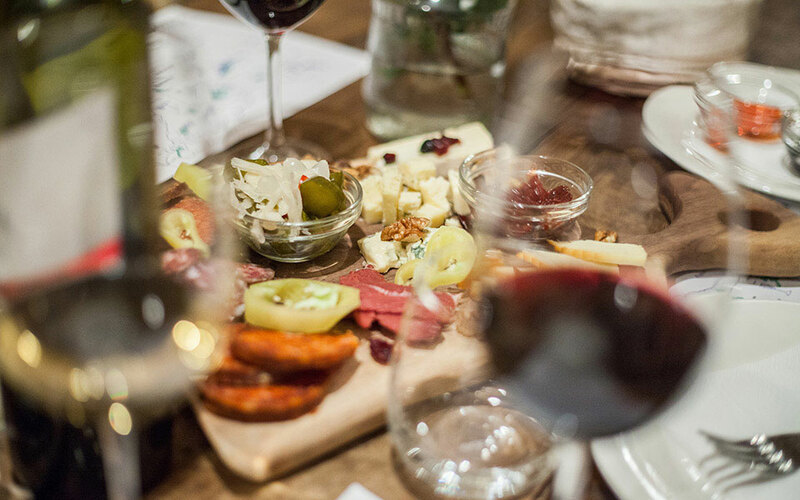 While Liberty Statue towers above, you can enjoy lunch or dinner from their contemporary menu or enjoy one of their many wines, Hungarian craft or Czech beers. Overall, the atmosphere is relaxed and you’ll find young people, families and even dogs enjoying themselves late into the evening. And of course you can always head over to the baths if you fancy a late night soak. AnKERT brings a minimalist feel to the ruin pub concept. In addition to the outdoor area there are two indoor spaces and a dancefloor and the whole place has a Jekyll and Hyde quality to it. By day it’s relaxed and spacious, a great place for an afternoon drink. 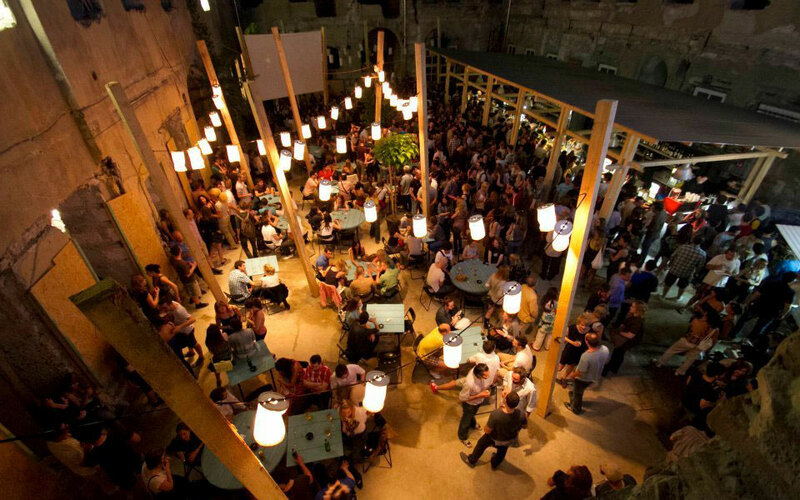 By night, its high walls give it a cavernous atmosphere, perfect for the wild late night parties that AnKERT regularly hosts. 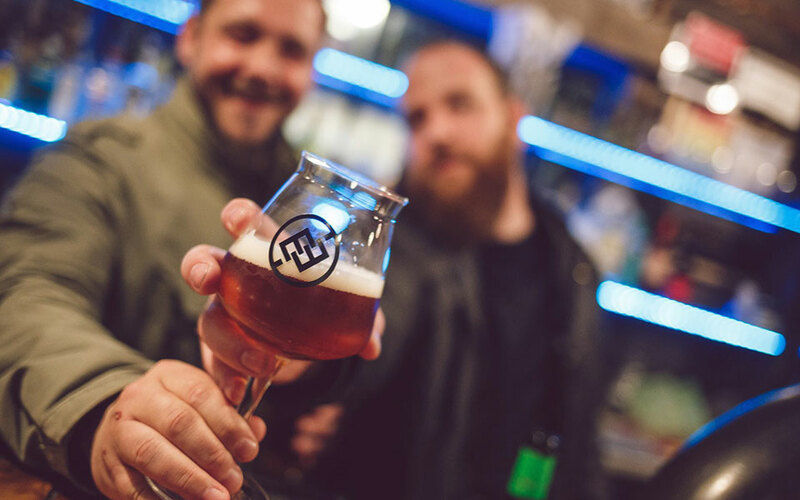 As well as the usual wines and beers, AnKERT offers a full range of expertly prepared cocktails and the kitchen is well known for putting out some great greasy-meets-gourmet food including burgers, grills dishes and fried potato wedges. 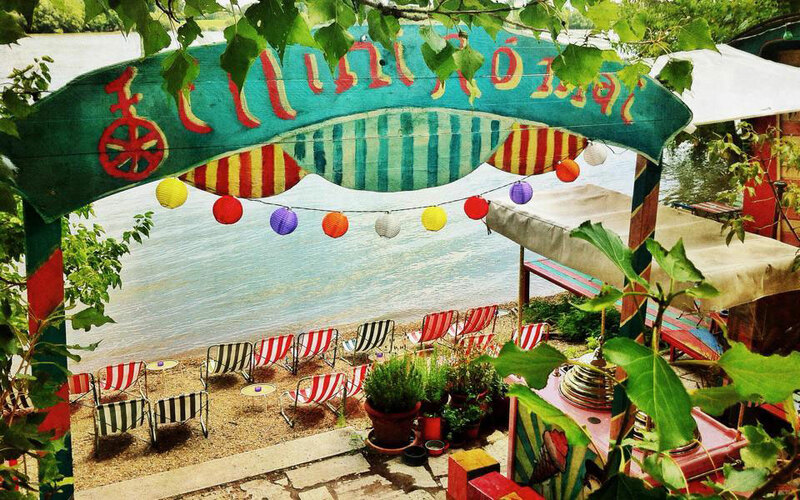 Not many tourists venture up into Óbuda, but those that do should reward themselves with a drink at Fellini Római which sits right on the Danube and has it’s own little section of beach to enjoy. The ice cream is legendary and with colourful deckchairs, a sumptuous menu and even the option to arrive by kayak, it’s an ideal place to cling on the summer sun all day long. Stay into the evening and you may be treated to some music, a theatrical performance or even a poetry reading. If you find yourself exploring Városliget and Heroes Square make sure you stop by Kertem. Located far from the hustle bustle of the downtown, it’s just as popular with local cyclists who make the pilgrimage for it’s famous burgers as it is with tourists who discover this charming spot by accident. By day you’ll mostly find families and couple chilling on the glass with a lemonade or perhaps something from the grill in hand. As night approaches the beer flows more heavily and it attracts a younger crowd who come for the free concerts and the chance to meet people. Sadly, as major redevelopment works due to take place in the park, 2015 is probably the final year Kertem will be open, so visit while you still can. Other than the colourful seating it’s the hammocks hung around the bar that will probably first catch your attention when you walk in. Located on Kazinczy Street in the heart of the Jewish quarter, Kőleves Kert is the perfect start to a crawl of Budapest’s most popular nightlife spots. 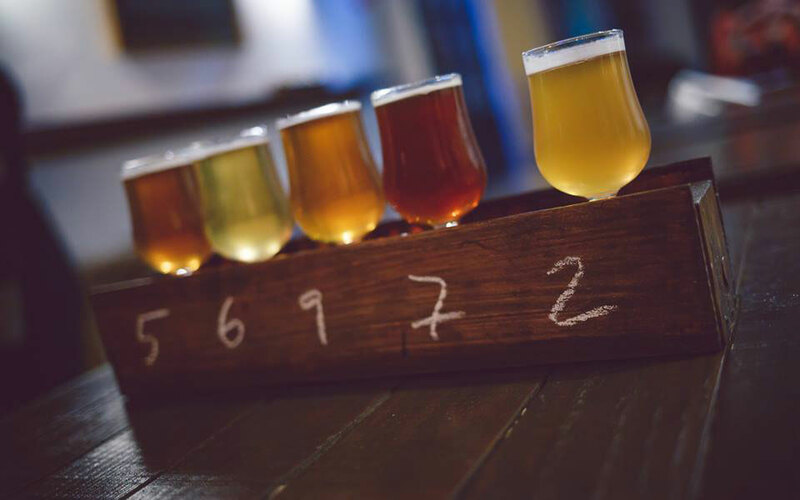 As well as the comfortable lounging options, there’s a full range of beers, wines and spirits as well as fröccs and pálinka if you’re feeling brave. If you’re hungry, there is a great restaurant, housed in what used to be a kosher meat plant, serving seasonally changing dishes and cheap daily menus.